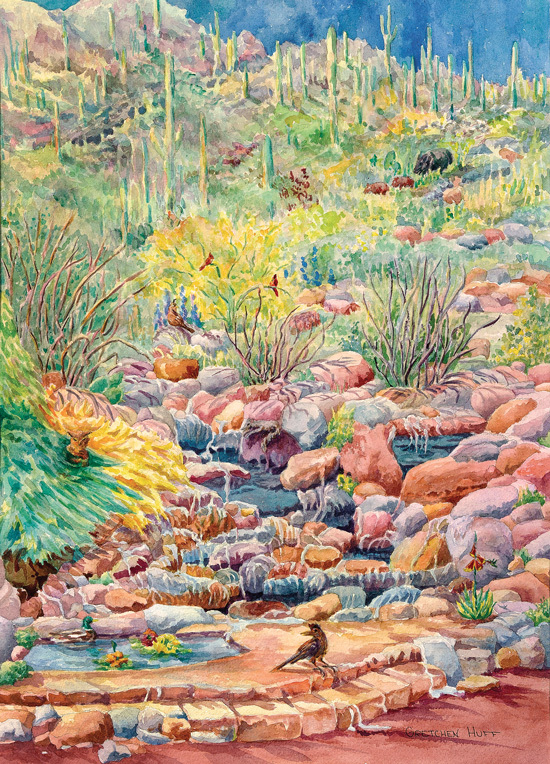 Gretchen Huff began her life in Bloomington, IL, moving to Tucson in 1956 to teach school Her Tucson home has a tiny studio, a view of the Catalina Mountains, and a wash stretching behind her home that is labeled a “Wildlife Corridor” (close to the beautiful Sabino Canyon). 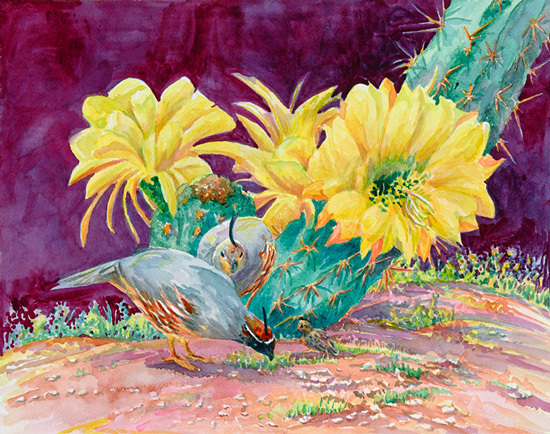 It is therefore no wonder she has fallen in love with the desert’s “wild folk” that inspire so many of her paintings. She paints from photographs—mostly her own or the occasional one that a friend contributes. 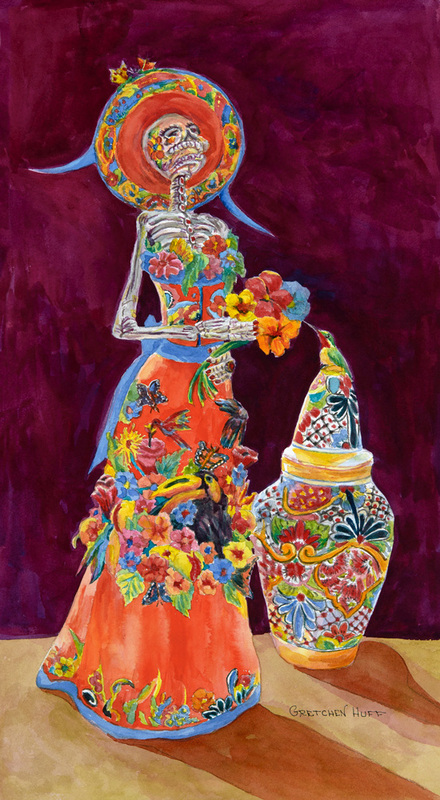 Her chosen media is watercolor with which she can do soft glazing to capture depth and light. 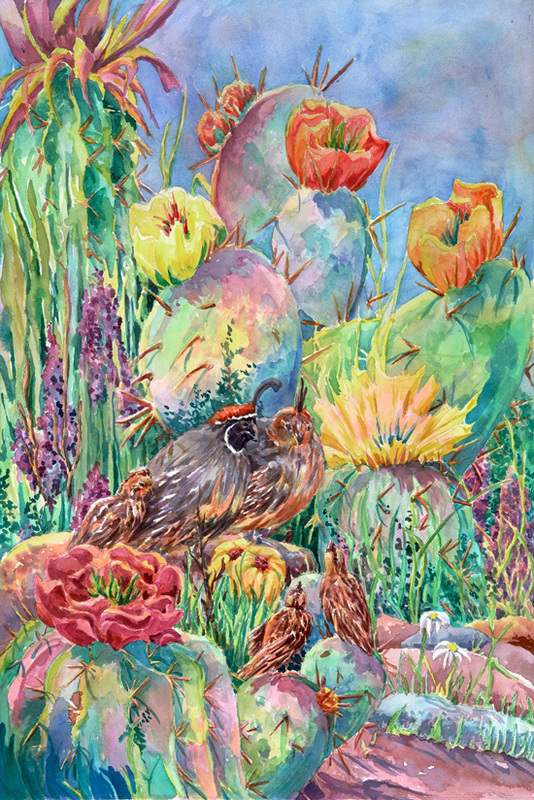 Add to this the amazing assortment of desert plants—shapes and colors to mix and match— and Gretchen has found an endless supply of ideas for her paintings. Each has its own story. 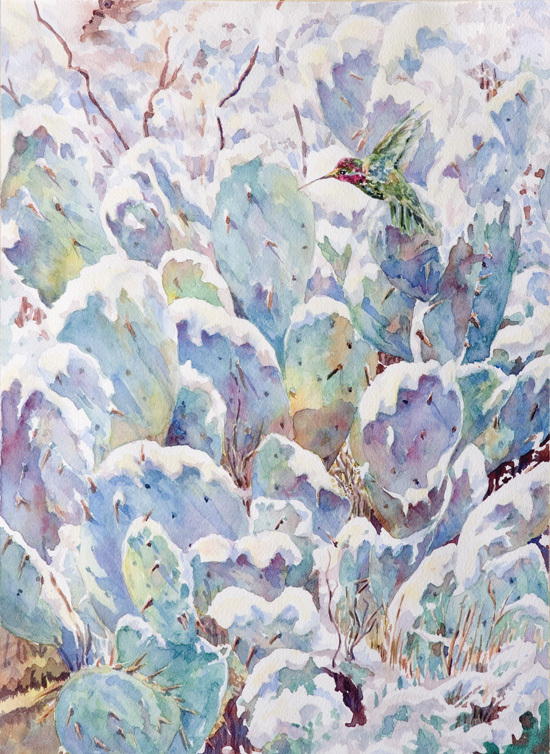 Example: One long-ago December day when it snowed in Tucson, the Prickly Pears briefly wore snow and displayed splendid soft colors. They just needed a curious hummingbird and, voila, “ICED PEARS”. Nature has a way of presenting endless ideas. Gretchen has experimented with oils, pastels, graphite and ceramics. But when she discovered watercolors, she was launched. This is the media that excites her and brings her both joy and peace. Sinking into the creation of a painting easily stops time and it is not uncommon for 4 hours to pass without outside awareness. The creative mind, however, can go in many directions. Gretchen also loves “story.” When her children were in school, she created, in their grade school, “The Creative Writing Lab” where children could come to the library and write, bind and illustrate their own stories. 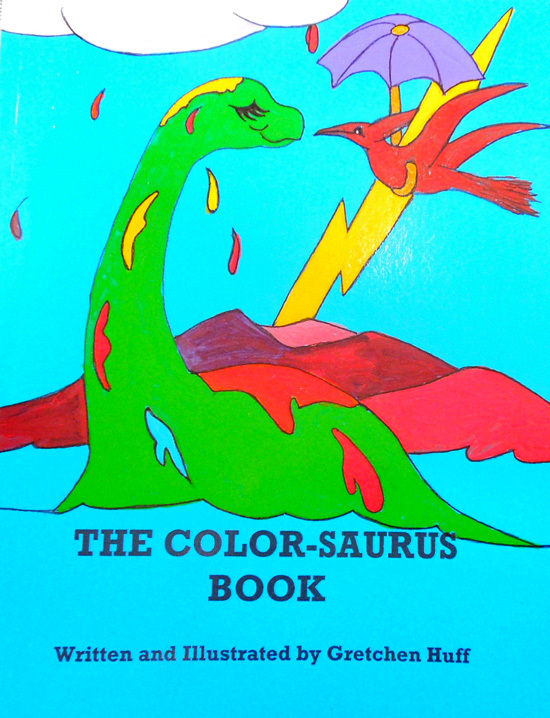 She had also written & illustrated “THE COLOR-SAURUS BOOK” designed to encourage small children and parents to think about science and color in a creative way. She will share this book in November at a Desert Artisans’ Gallery Trunk Show. She also will share some “Dinosauric” 3-D creations designed to intrigue little ones who will find delight in their color and creativity. Watch for the November announcement.